You’ll all be familiar with the DfE’s ‘Keeping Children Safe in Education’ and ‘Working Together to Safeguard Children’ documents. A recent update on, 3rd September 2018 has further strengthened the requirements for schools and academies and bought a new Keeping Children Safe in Education 2018 document into force. So what do these changes mean for employers? The changes confirm and provide clarity that each school should have their own safeguarding policy. Your safeguarding policy will need to be tailored to the very specific needs of your school or academy. It should also be adapted to the school’s particular setting and the needs of those the policy applies to, and has implications for. For schools in a Trust, having a Trust policy will no longer be sufficient. Areas to consider when tailoring your policies include; learning from previous safeguarding issues or reviews and the level of parental engagement in such matters. How do the changes to safeguarding children in education impact staff? From an employment point of view the changes also significantly raise the requirements relating to the staff and volunteer induction process. Schools will need to ensure as part of this process that staff have a clear understanding of the school’s child protection policy, the behaviour policy, the staff code of conduct, the role of the designated safeguarding staff and also be aware of actions required regarding managing children missing in education. The requirement to read and understand part one of the ‘Keeping Children Safe in Education’ document remains. However, the changes also confirm that staff and volunteers should not only read but understand the above policies, as part of the school’s mandatory induction process. An easy way to ensure this is done in your school’s induction process is to require a signature from staff and volunteers to confirm they have not only read but understand the policies. 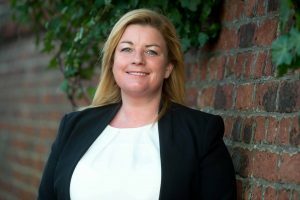 For more information on safeguarding children in education or any other HR matters, please contact Clare Bromley, HR Consultant, in our Education team on 0161 475 7624 or Stephen Foster, Partner, on 0161 475 7664. You can also read the full Safeguarding Children in Education 2018 document on the government’s website.